For many Americans, as well as, people all around the world, the pancake is just one staple food complement that they rely on to greet them each morning. With the usual butter, syrup, and a variety of other potential toppings that reach as far as the imagination, the pancake has long been decorated in a manner that isn't exactly health conscious. Just by reading this article, you will see that it really isn't overly difficult to turn your morning pancakes into a healthier complement to the other food portions on your breakfast plate. Rather than having to resort to only having your pancakes as an end-of-the-week-treat, there are several steps that you can take to make pancakes a frequent breakfast treat, without feeling the guilt or having your waistline suffer. Sort out your toppings. The toppings you choose, while incredibly appealing on advertisements for restaurants like iHop or Denny's, aren't exactly the healthiest for you. Long before you even get to the actual pancake mixture, it is these very toppings that can add a significant amount of unhealthy calories to your pancakes. Instead of christening your pancakes with sugar-filled syrup, you can choose sugar free syrup, honey, or my personal favorite and healthiest ingredient, Agave Nectar. Agave Nectar, which is a plant, has a much lower glycemic index and glycemic load than table sugar, but it actually tastes sweeter than table sugar and honey. Vegans often use this as an animal-free substance in place of table sugars and honey. Unfortunately, the preparation of fruit toppings in thick syrupy sugar sauces often found on pancakes is not an ideal way to eat fruit. However, this can easily be substituted with more fresh fruit varieties like blueberries or strawberries. If you make this exchange, you will find that you can retain the fruity, sweet taste, while not having to succumb to hundreds of extra calories. Oftentimes, I just add fruit to my pancake batter, using blueberries, apples, bananas, or strawberries. A simple scoop of peanut butter can also be a nice topping and will also add a bit of protein to your pancakes, as well. Wellsley Farms Organic Blue Agave, 36 oz. Once you have successfully picked your pancake toppings, you will want to roll up your sleeves and make your pancake mix from scratch. While some effort will certainly be involved in doing this, this process can help to easily avoid the many preservatives that are so common to pancake mixes that are purchased in the store. Instead of picking those pre-made pancake mixes, you can now control each and every ingredient that goes into your pancake mixture. This will result in much healthier pancakes that will significantly cut a lot of bad calories and preservatives, and will be thoroughly enjoyed by your family and friends. You will find that many nutritionists and dietitians are staunch opponents of such ingredients as all-purpose flour. While health is sacrificed with little nutrition added, all purpose flour can easily be substituted (completely or partially) with whole wheat flour. If you do not want to substitute the entire amount of all purpose flour called for your pancake recipe, you can still have a significant impact on health by at least substituting a portion of the all purpose flour with whole wheat flour. In this case, you do not have to give up a pancake ingredient completely in order to incur significant health benefits from the simple substitution of other, healthier, ingredients. After trying and tweaking multiple different pancake recipes I have come up with one that I find consistently delicious. Someday I would love to be brave enough to use ALL whole wheat flour, I am not quite at that point yet :/. Combine all of the dry ingredients and make a well in the center. In a separate bowl combine the liquid ingredients and place into the center of the well, stir until smooth. My personal favorite is adding chopped apples to this mixture and use agave nectar as my topping, delicious! I make my pancakes on top of my electric griddle which never fails to make me perfectly golden pancakes that flip easily and never stick. There is nothing worse than a pancake that sticks to the pan! 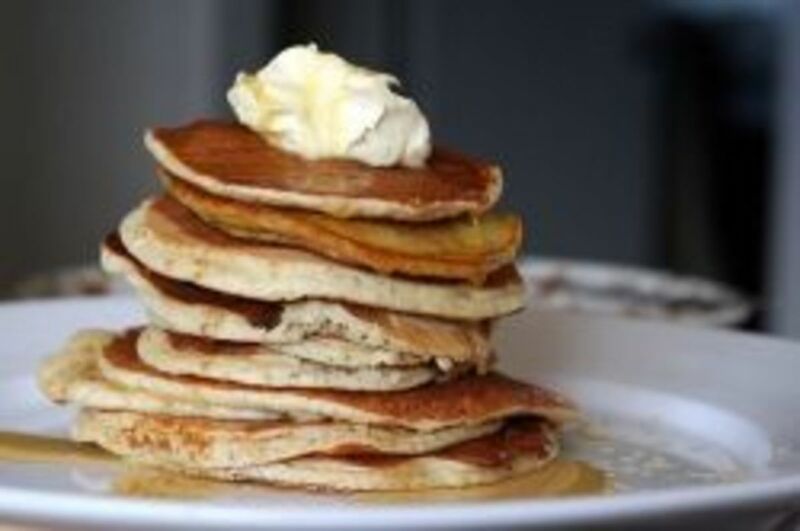 In many restaurants, it is customary to top pancakes off with such topic ingredients as whipped cream or even ice cream. Unfortunately, this decision only adds insult to injury, by accruing more potential calories than the actual pancakes themselves. Instead of using these toppings, making healthier pancakes means that you should either look for viable topping alternatives, such as bananas and granola, or just stay completely away from these toppings to begin with. More often times than not, people generally like these toppings more so for the look they give to the presented pancake platter, as well as, the perceived extra value they give. Do not succumb to these topics, but, instead, seek out better alternatives. Both your health, and your family, will thank you for making this decision. 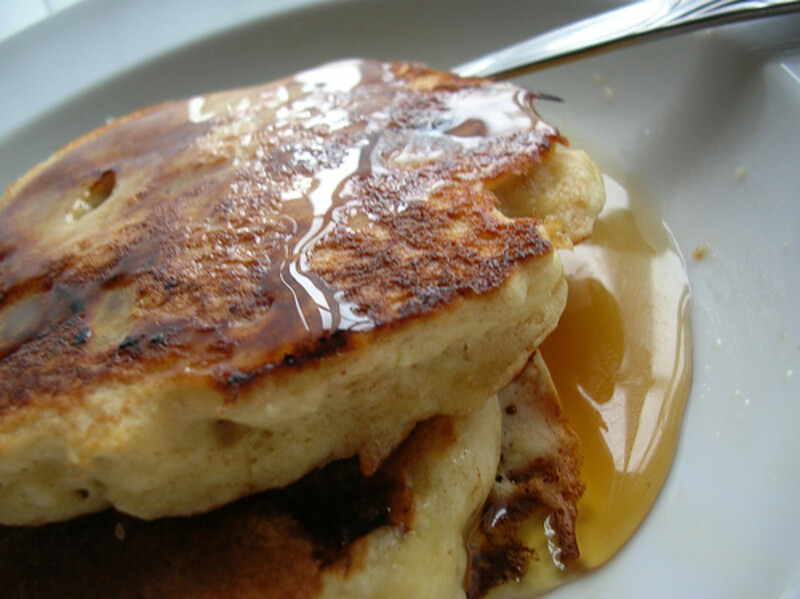 Pancake consumption, whether in the United States or abroad, will more than likely never come to an end, nor should it. Unfortunately, however, the way in which pancakes are prepared, presented, and served, are really very unhealthy by nature. As you can see from the above article, you do not have to sacrifice a significant amount of taste or texture in order to have a delicious morning breakfast with your family and friends. While over consumption is never good, theoretically, with much healthier pancakes, you can actually eat more, dependent on what your own health and nutrition goals are. Pre-made and pre-packaged pancake mixtures are generally used by many people simply because of it's ease of preparation. Like all packaged goods, however, pre-packaged pancake mixtures can be a very unhealthy choice because of all the preservatives that are included. If you do decide to create your own pancake mixture, not only can you inherently have more control over the ingredients that you actually include, but you can play around with what ingredients you and your family like best. It is very easy to whip up the above recipe and having a healthy version of pancakes prepared for your family. Inviting your family, especially young children, to help you with the pancake making process can incur many great benefits. Not only will they provide you with a much needed extra set of hands, but, oftentimes, young children can also bring a degree of creativity to the table. Ordinarily piled up blueberries may just turn into heart shapes on top of the pancake that can make them more enjoyable for all when served. Dependent on your child's age, you may also consider allowing him or her to mix the pancake mixture or perhaps even cut bananas or other fruit complements. I hope you found some helpful tips from this article and make some healthy pancakes for your family soon! How to Make Super (Healthy) Pancakes! mmmm looks soo yummy and delicious, would love to try them, thanks and blessings for sharing! the ones with the berries ... oh my, those look so good. Thank you for sharing this recipe! My husband is the one making pancakes on Sunday morning usually. He uses buckwheat to prepare the pancakes. It's delicious! But cinnamon and nutmeg sounds very interesting in the pancakes! I should surprise my husband with this recipe one day! I like to try new recipes! I love the agave nectar; I replaced the sugar by the agave nectar in several of my recipes and I use it in my tea as well! Yummmy! We love pancakes and I can wait to try your "from scratch recipe" and make my future pancakes healthier! voted up! Mm mm mm mmmm! Love the detail and thought in this hub DIYmommy, and I'm now seriously hungry! My husband is Canadian and always tells me he prefers North American-style pancakes in preference to the thinner European ones - I've long been searching for a foolproof recipe so will definitely be giving this a try! I love pancakes and, you're right, the toppings can get unhealthy! Thanks for the great suggestions. 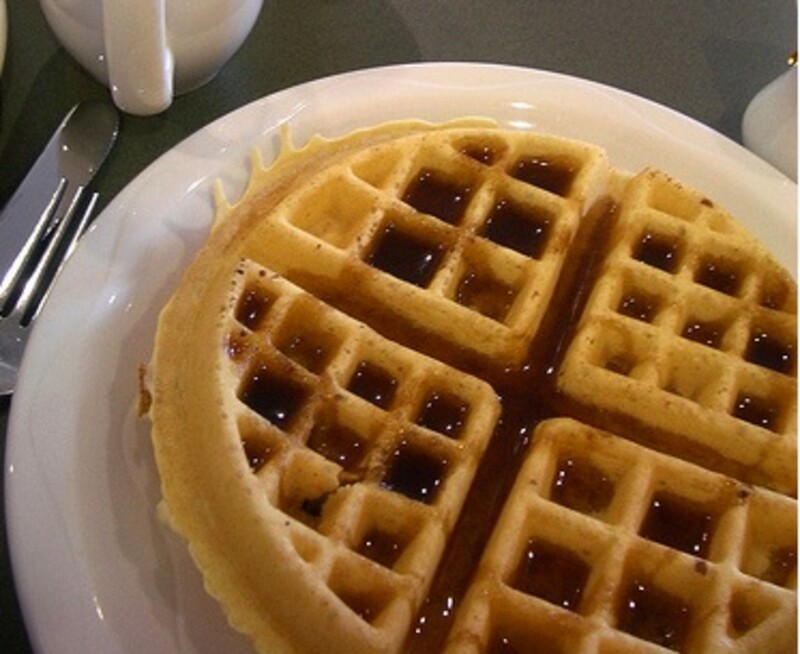 Wow, this looks delicious. My kids were just asking for pancakes this morning. And, yes it is usually a Saturday treat, but this healthier version is something I will have to try. I'm a pancake lover so this is looking mighty tasty about now. lol. Forget dinner. We had some for lunch! Great hub, DIYmommy. Pancakes for dessert tonight. Yes, wholemeal flour and no ice cream! Voted up.